Judgment against Msgr. Viganò. The Tribunal of Milan condemned Washington’s former Apostolic Nuncio to pay a maxi-compensation to his disabled brother, Fr. Lorenzo. The dark scolder of Pope Francis had just written that “The Lord will render to every one of us according to our actions”. “Dark”. So we had defined the biography of Carlo Maria Viganò, Washington’s former Apostolic Nuncio, when he decided to publish his report against Pope Francis, by openly asking him to resign. Yes, because we immediately noticed that the moralising Monsignor was involved in fraudolent public procurements and false invoicing, sued by his sister Rosanna for the misappropriation of 900 million Lire, and accused by his other brother, Lorenzo, of being a liar and of having lied even to Benedict XVI. A dark portrait emerged out of it, indeed: money, revenge, and power. However, at that time his dossier, his reconstruction of the McCarrick case, and his multiple charges of immorality against dozens of his brothers in Christ and the Pontiff. 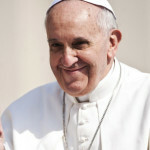 We dealt with that and showed that his main criticism against Pope Francis was false: he had not rehabilitated Card. McCarrick at all, who had been assiduosly attending the Vatican and the Catholic life of Washington already before 2013. Viganò himself, despite being aware of the abuses, had publicly awarded McCarrick as “Pontifical Ambassador”, by embracing him and manifesting affection towards him; he also celebrated the Eucharist with him. Without any remorse and going well beyond diplomacy. In the end, it emerged that the Vatican had been aware of the abuses by McCarrick already since 2000, and, in spite of this, the then-Archbishop made a formidable career. Beside the abundant efforts to use the current Pope as the scapegoat for everything, the “Viganò operation” slowly turned into an accusation against the mishandling of the McCarrick case during the previous Pontificates. In one of his last writings, in fact, the ex nuncio and his most loyal supporters renounced asking for Francis’s resignation. Msgr. Viganò explained, however, the real reasons for his blatant charge against Pope Francis: paedophilia inside the Church had nothing to do with that; it was only an attempt to dismiss a Pope who would not proclaim a “sound moral doctrine”. 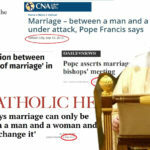 None of his most ardent supporters from Aldo Maria Valli to Marco Tosatti, from Riccardo Cascioli to Roberto De Mattei, are famous for their battles against paedophilia, but only for accusing the Pope of doctrinal ambiguity. They remained silent when it was confirmed that Msgr. Carlo Maria Viganò himself protected conservative Archbishop Nienstedt (charged with abuses), by having the case covered up. Finally, yesterday evening, through the ruling 10.359/2018, the Tribunal of Milan condemned the ex Nuncio Viganò to pay a millionaire maxi-compensation to his brother Fr. Lorenzo, a disabled priest. Viganò, the moraliser, had indeed kept and administrated the jointly held goods (assigned to them after their father’s death), without any kind of reporting to the disabled brother. The inheritance comprised many real estates valued almost 20 million and a half euros, in addition to a considerable sum of money (over six million seventy thousand euros). The Tribunal found out that the former nuncio had always received the profits from the real estates and kept all the co-owned cash for himself while benefitting overall «from operations for a net amount of 3,649,866.25». 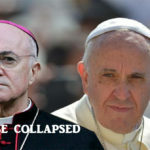 Now he will have to pay half of that figure to his brother, a news which does not yet appear on the blogs of the adulators of Viganò, the various Catholic compasses claiming to be made for the truth. Thus, whilst he “excommunicated” Pope Francis for immorality, Msgr. 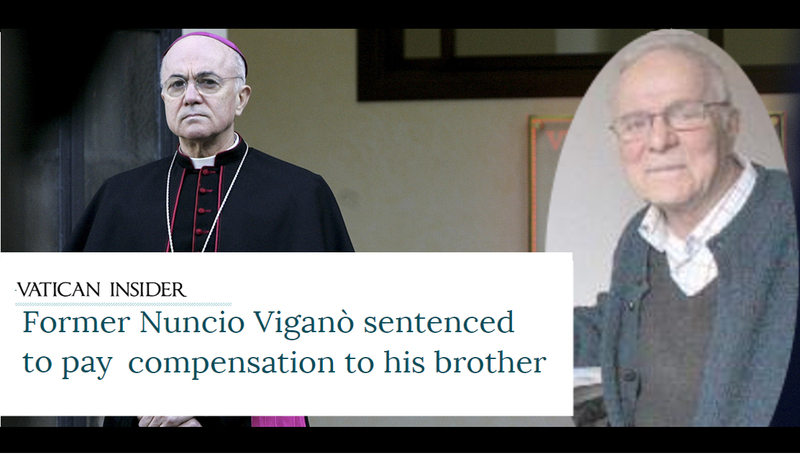 Viganò – “martyr of the truth” and of the “sound Catholic moral doctrine” – deprived his own brother of the family inheritance. Besides, his brother is disabled. But it is not over, because Fr. Lorenzo himself had revealed that Carlo Maria was sent away by Benedict XVI, through his right arm Card. Bertone, as a result of making charges of corruption which had turned out to be devoid of any foundation, but he wanted to resist the transfer imposed on him. Therefore, he immediately appealed to the Pope Emeritus, by adducing as an impediment «the necessary, due, and direct assistance» he was committed to provide to towards his disabled brother, whom he defined non compos mentis. Fr. 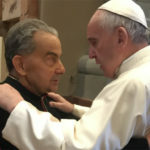 Lorenzo commented: «my brother wrote a falsehood to the Pope», since he is disabled, but not mentally, and he was never looked after by Carlo Maria. 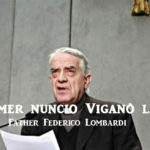 «He wrote a falsehood to the Pope, by instrumentalising me for personal purposes» – denounced Lorenzo Viganò. And again: «Carlo Maria never deigned to provide any clarification, and the only contacts with the latter and with some brothers of mine were aimed at trying to scare me with sneaky and shadowy threatening warnings, and then at inviting me to sign a completely unfair division». Only a few hours ago, Carlo Maria Viganò, maybe believing to be the spiritual confessor of the US Bishops, sent a message to the American prelates: «Do not be afraid of standing up and doing the right thing for the victims, for the faithful and for your own salvation. The Lord will render to every one of us according to our actions and omissions. I am fasting and praying for you». The Lord will render to every one of us according to our actions and omissions, indeed. 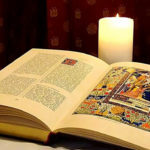 Who knows what He will render when a pastor decides to divide the Church, to foment the schism with false charges against the Successor of Peter, when he chooses to steal the family inheritance from his own relatives, with no scruples for his disabled brother. The admonishment sent to Msgr. 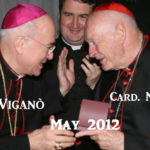 Viganò by card. 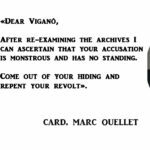 Marc Ouellet comes back: «you cannot conclude your priestly life in this way, in open and scandalous rebellion […] come out of hiding, repent from this revolt». Very current, more than ever. We have just come across some statements by Fr. Lorenzo Viganò concerning his brother Carlo Maria Viganò: «I do not deem it humanly possible anymore to keep standing the vexations of certain people who feign wearing sheep’s clothing while hiding their real nature of wolves». The newspaper Il Giornale added that former Nuncio Viganò also deceitfully tricked his sister Rosanna out of a house in Switzerland. 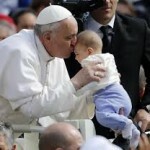 The Pope: «Family is only between man and woman». But he has already said it many times! We all know that this latest bit of Vigano news will be twisted to paint him a martyr while condemning the brother and blaming the Holy Father. Nothing surprises me these days. A sad affair for all involved. Read articles in “Corriere della Sera” newspaper to find out the truth. The siblings of Fr. Lorenzo Vigano, S.J., a biblical scholar living in Chicago, refute the accusations he has made against his brother, Archbishop Vigano.